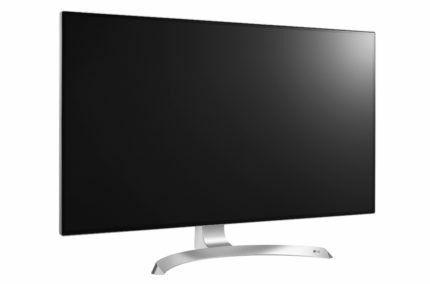 LG has recently introduced yet another brilliant 4K resolution model, the LG 32UD89 monitor. The release date and price are unknown at the moment, but we know that it will be available in two variants, with a silver base as the LG 32UD89-W and with a black base, the LG 32UD89-P display. This giant 32-inch monitor will also feature FreeSync over both DisplayPort and HDMI 2.0 ports, 2x5W RichBass speakers, and the AH-IPS panel for stellar color quality and accuracy. 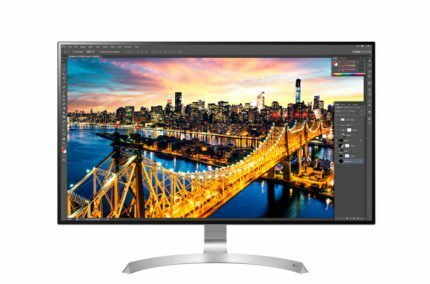 Unlike the latest LG’s flagship model, the LG 32UD99 PC monitor, this monitor won’t feature HDR10 support, although it will have a significantly superior image quality in comparison to the other IPS panel monitors due to the higher contrast ratio and a wider color gamut. If you’re looking for both a giant screen and a spacious workspace, the 4K UHD resolution on a 32-inch screen is just what you need. Whether you intend to use it as a gaming monitor or simply for movie watching, or even professional use, you’re bound to have a blast with this one. 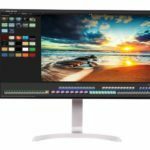 The LG 32UD89 comes factory calibrated and its 8-bit + FRC color panel covers 99% of the sRGB and 95% of the DCI-P3 color spaces, making it an appealing choice for the high-end professional designers and alike. Besides the impeccable color accuracy, the AH-IPS panel of the monitor ensures flawless 178-degree viewing angles and a quick 5ms response time for minimal ghosting effects. When it comes to gaming, the LG 32UD89 offers an enhanced gameplay experience thanks to FreeSync which will help with fluctuating of the FPS (Frames Per Second) rate by providing you with a dynamic refresh rate. As the monitor’s refresh rate is synchronized with the graphics card’s frame rate, there will be no screen stuttering, tearing, and the input lag will be reduced. However, in order for this technology to work, you will need a compatible FreeSync AMD graphics card. The dynamic refresh rate will also only work within the 40-60Hz range. The LG 32UD89 will naturally keep all the common LG gaming features which include the Black Stabilization for a better visibility in the dark scenes of video games, the Dynamic Action Sync which decreases the input lag, and pre-calibrated gaming picture presets for FPS and RTS genres. Other useful features include the Screen Split feature which offers numerous different layouts for splitting the screen into segments, the Dual Controller, a user-friendly interface for multi-display setup, and the On-Screen Control which allows you to adjust the OSD settings in a desktop application. There are several more picture presets such as the Reader mode which has a low blue light filter that in combination with the flicker-free screen allows for comfortable viewing experience that’s easy on your eyes. Much like most of the latest LG monitors, the LG 32UD89 features the standard ArcLine base and a slim bezel design. The extensive ergonomics include the ability to tilt by -2,15 degrees, height adjust by 110mm, pivot by 90 degrees, and 100 x 100mm VESA mount compatibility. The screen is coated with an anti-glare 3H matte finish which effectively eliminates the sunlight reflection. 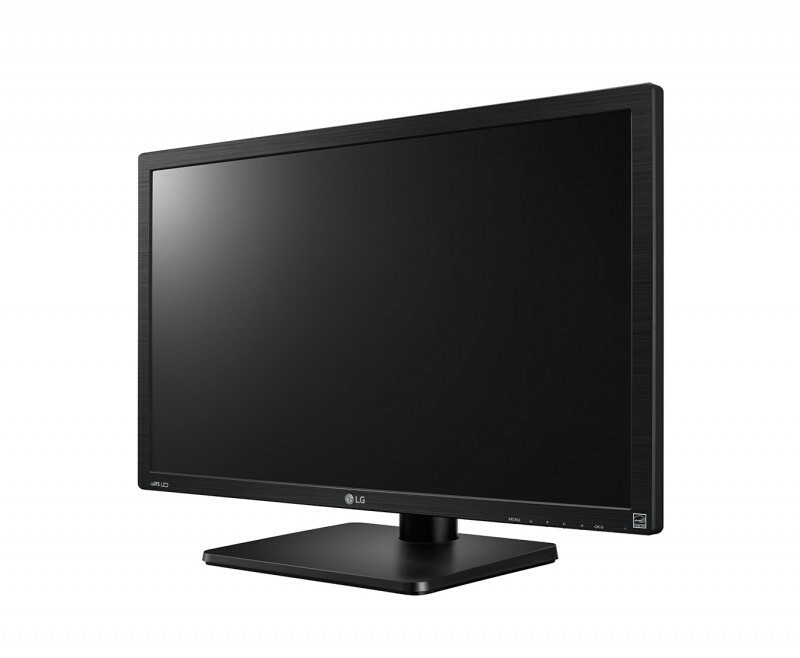 The LG 32UD89 monitor has plenty of connectivity options including two HDMI 2.0, a DisplayPort 1.2a, an USB type C, and an audio line-out port. FreeSync will be supported via both HDMI and DisplayPort connectors. The USB-C port allows for simultaneous data transfer, 4K content streaming, and power charging up to 40W. Additionally, there will be 2x5W RichBass integrated speakers, however, there will be no extra USB 3.0 ports available. The release date and price are unknown at the moment (April 2017). 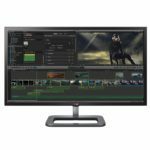 Overall, the LG 32UD89 will deliver a prominently improved image quality than what most of the IPS panel monitors that we’ve got used to can provide due to the increased static ratio of 1,300:1 and the wide DCI-P3 color gamut coverage. Although it’s not nearly as revolutionary as HDR, it’s certainly a step towards it. Those with powerful high-end graphics cards will be able to enjoy the remarkable image quality in video games as well, AMD users with a bit smoother performance though. The combination of the common LG features, extensive connectivity and ergonomic options, a beauteous design, FreeSync, and the auspiciously stellar image quality make for an exciting monitor we can’t wait to get our hands on. The LG 32UD89 will deliver an image quality that’s a step closer to HDR standard due to the increased static contrast ratio and a wide DCI-P3 color gamut coverage. Moreover, it will provide AMD users with a smoother performance for 4K gaming. It also offers plenty of connectivity and ergonomic options and a beautiful design. Great. If they offered a 144hz version I’d buy it!